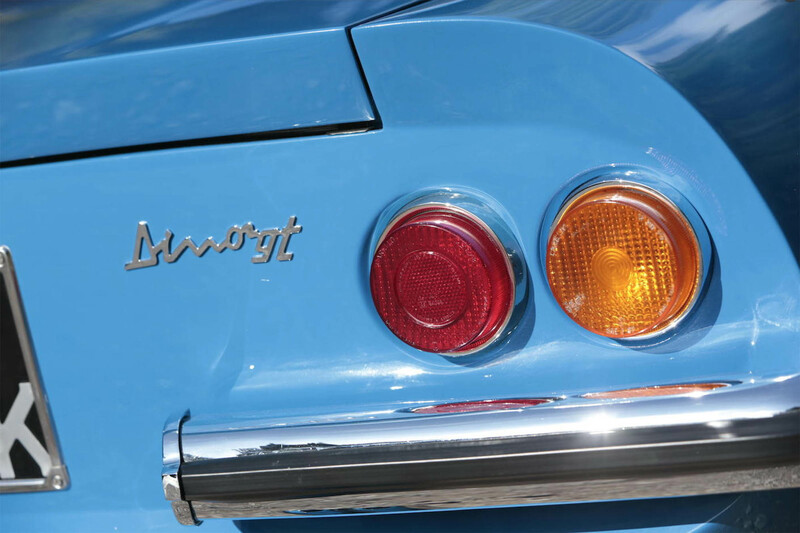 One of only 235 supplied to the UK in right-hand drive configuration, this Classic car has had only two previous keepers. 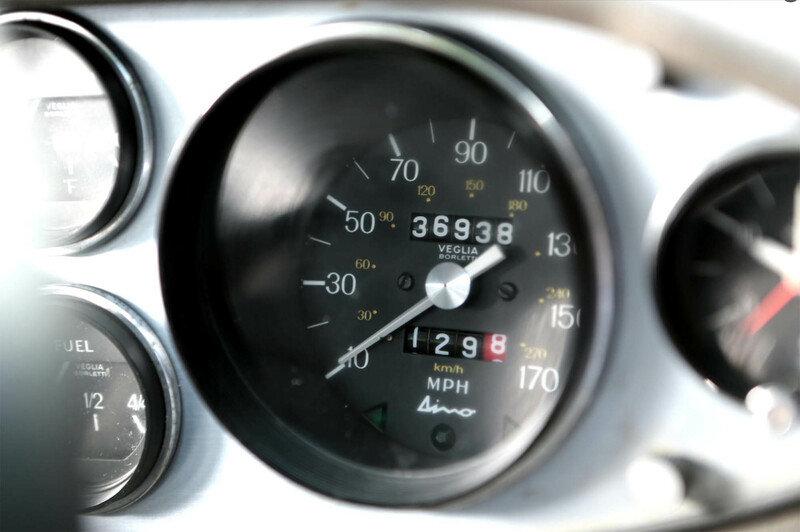 Its late owner acquired the Dino on 17th May 1979 and reserved its use for special occasions during the summer months. 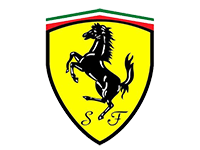 In 2002 the Ferrari was taken off the road and SORN’d pending an extensive restoration, in excess of £70,000 has been spent. Jules bodycraft received the vehicle 2008. 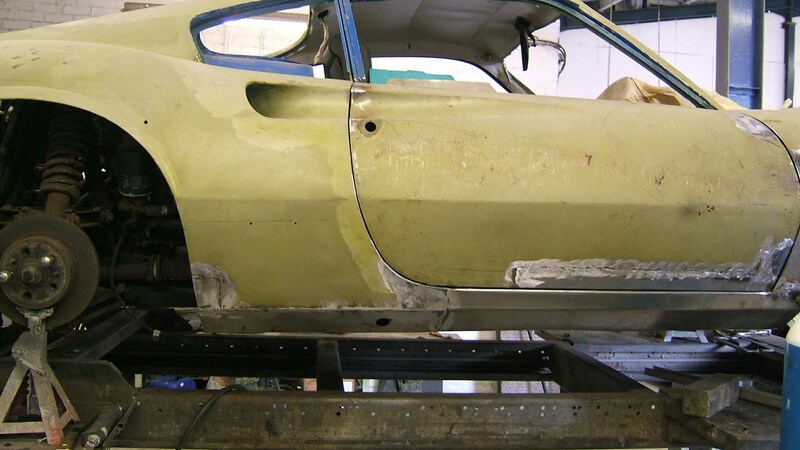 The chassis, bodywork, paintwork, interior and electrics have all been restored. 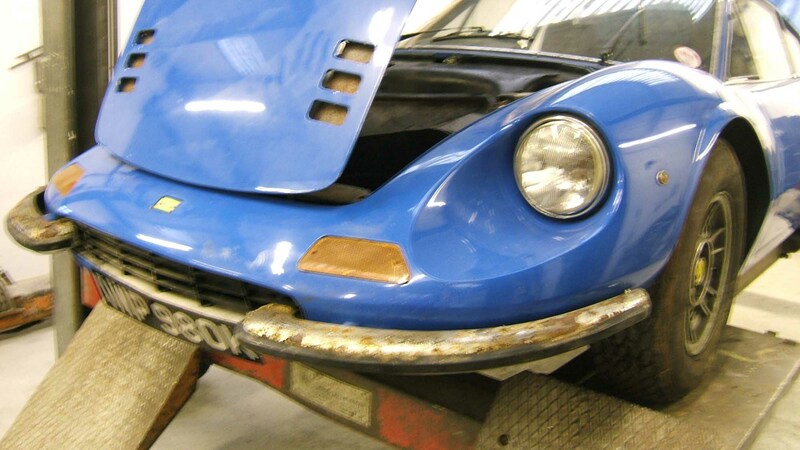 A new exhaust system, clutch and oil cooler has been fitted and the carburettors rebuilt. All was commissioned to Jules Bodycraft. 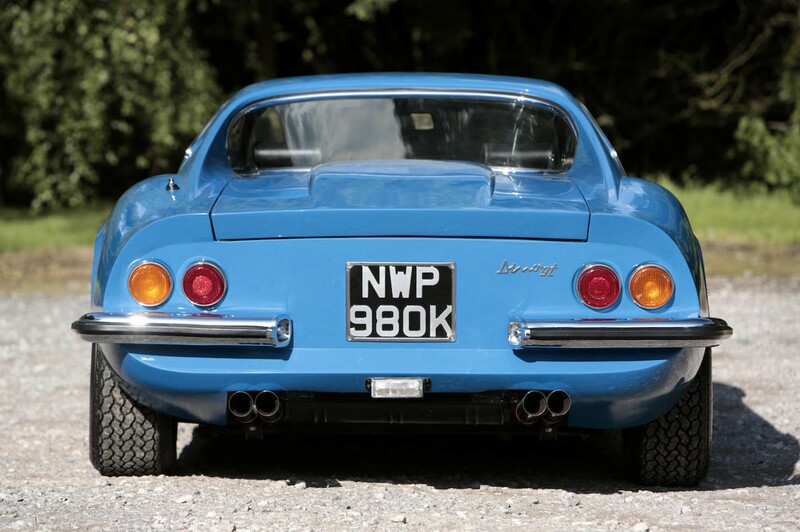 Once all work was completed the car was returned to its owners and sold by Bonhams at Goodwood Festival of Speed, September 2013 for a staggering £236,700. 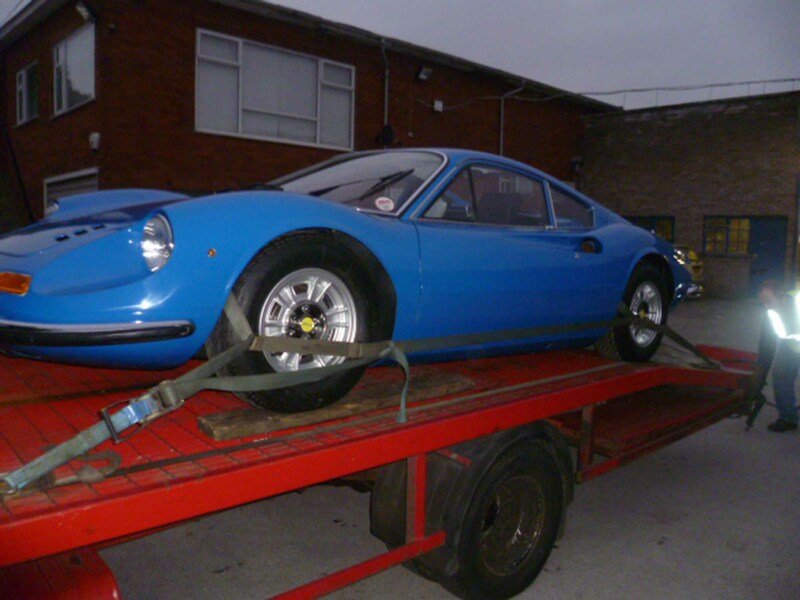 1972 Ferrari Dino arrives at Jules BodyCraft. New panels being welded onto Ferrari Dino. 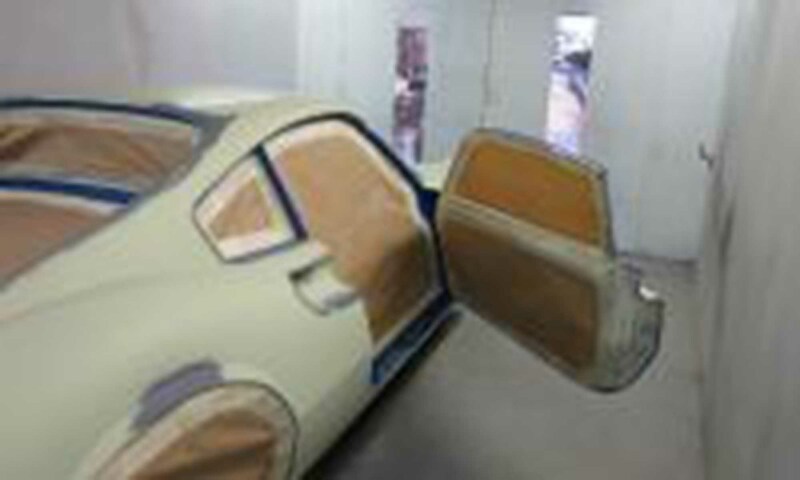 Ferrari Dino in the spray booth at Jules Bodycraft awaiting etch primer. 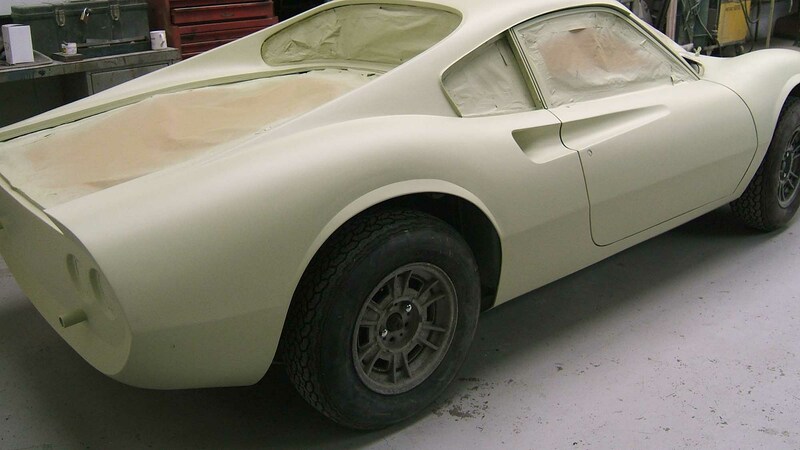 Ferrari Dino masked up and etched in primer. 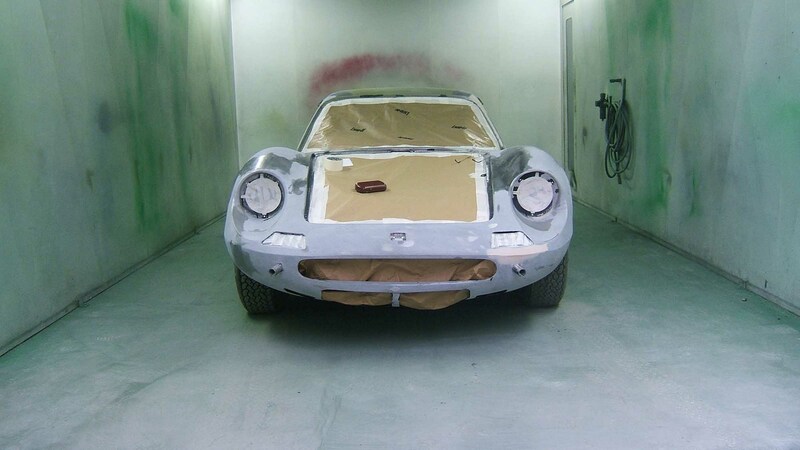 Ferrari Dino in spray booth awaiting top coat. 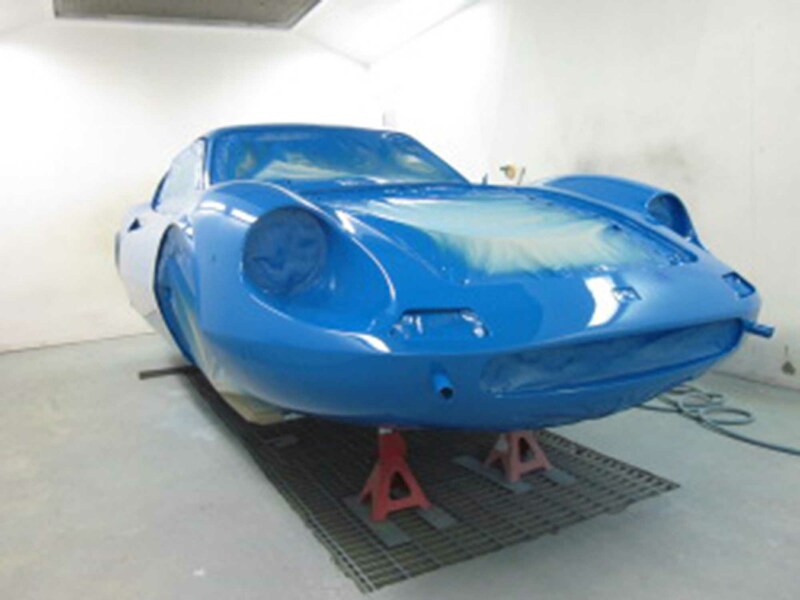 Ferrari Dino after being sprayed in top coat. 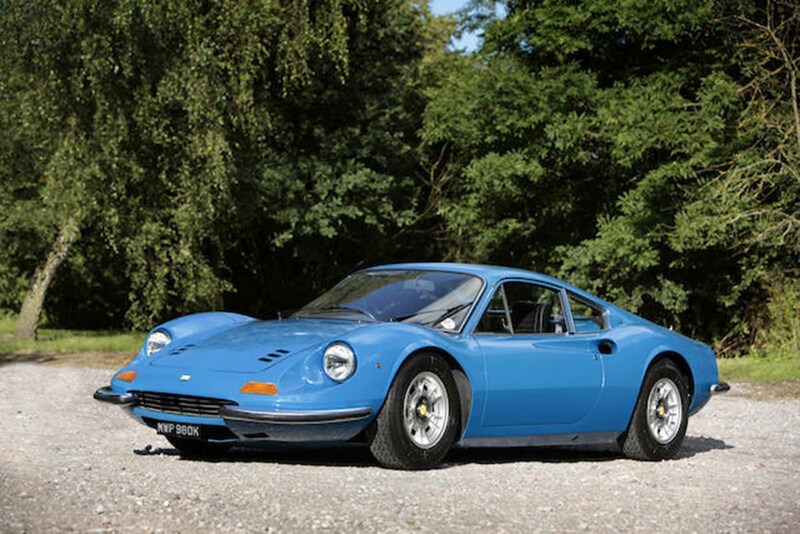 Ferrari Dino leaving Jules Bodycraft after completion.